Getting coffee has become an important part of our morning (and afternoon, and evening) routine. Coffee is more than a beverage: It’s a science, a passion, and a way of life. Cabin Coffee in Altoona’s River Prairie has figured that out. Owners Kelly and Joe Gribowski have planned meticulously for the enjoyment of your coffee experience. “We want three things for our customers: to taste fresh, high-quality food and drinks, to feel welcomed by our exceptional customer service, and to just be happy and have fun,” Kelly said. Roasting their arabica beans every day ensures customers have the freshest coffee possible. In addition to espresso, they serve a variety of blends of light, medium, medium-dark and dark roast. Cabin Coffee offers 22 types of single-origin coffee, including Colombian from South America, Costa Rican from Central America, Ethiopian from Africa, and Java from Indonesia. In addition to vibrant flavor, fresh-roasted beans have a rich aroma and offer numerous health benefits. Cabin Coffee prides itself on unbeatable service. Both the owners and the staff undergo extensive training to educate themselves about the beverages they serve. Breakfast and lunch menus are available all day. Breakfast sandwiches are available on bagels, wraps, and croissants. 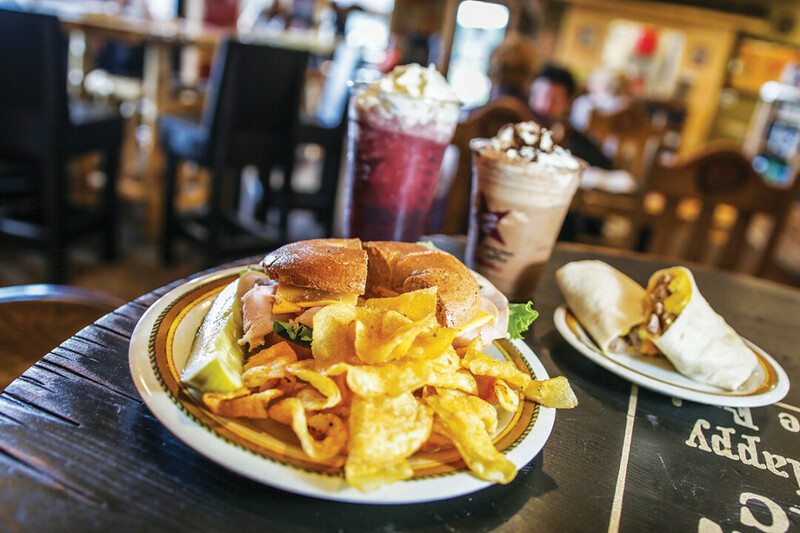 Cabin Coffee also serves bakery items and signature and specialty sandwiches. Everything is made to order, and there are gluten-free options for the diet-conscious. A variety of seating options are available, from a large table in a meeting room to smaller spots on the patio. Coffee connoisseurs can sit at the bar or cozy up by the fireplace. The décor is selected to give you a relaxing place to sit with your friends. Music is on low volume to help keep conversations private. 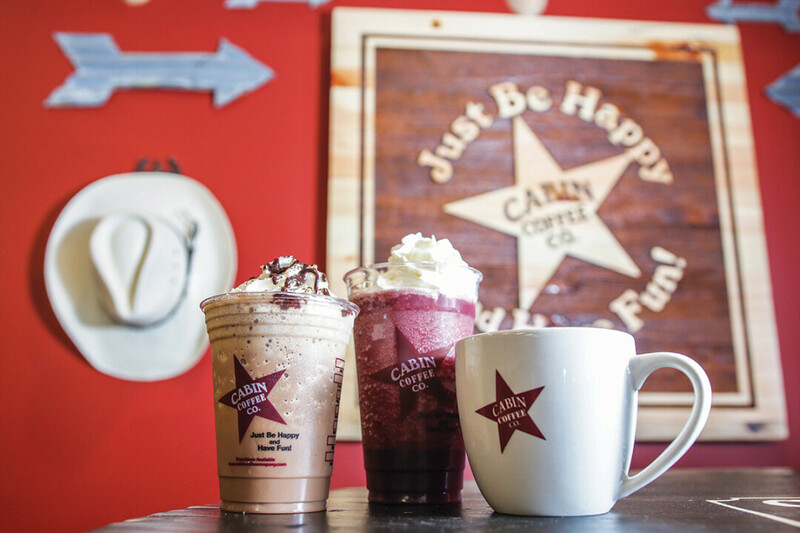 Cabin Coffee has customer-friendly menus that explain each drink, a loyalty card for regular customers, a family-friendly attitude with a table set aside for smaller children, art and crafts on the wall that are available for purchase, an environmentally conscious mindset, recyclable Cabin cups for your Keurig, and last, but not least, a drink of the month. Don’t tell anyone yet, but the Gold Rush will be featured in October; it contains caramel, butterscotch, cinnamon, and white coffee. Cabin Coffee Co. is in River Prairie at 2922 Meadowlark Lane, Altoona. They’re open Monday–Friday 6am-6pm and Saturday-Sunday 8am-6 pm. Learn more online at facebook.com/CabinCoffeeAltoona.